School Hours: 8:20am – 4:20pm, students should arrive for breakfast by 8:00am. Supervision is available from 7:00am- 8:20am for our before school program and from 4:20pm – 6:00pm for our after-school program. Class Sizes: Approximately 30 students per classroom with an approximate total of 60 students per elementary grade level (grades K-5) and 120 students per middle and high school grade level (grades 6-12). In order to improve MAS Charter School’s educational environment, promote a more effective climate for learning, foster school unity and pride, and allow students to focus solely on learning and not on attire, the school has a dress policy for students that applies to all school days and school-sponsored events. There is a school-wide policy on uniforms. If your middle or high school child is out of uniform, he/she will receive an automatic thirty minute lunch detention that same school day. It is very important to establish the team culture at MAS and students must show up in uniform on a daily basis to show that they are part of the MAS team. MAS provides three uniform shirts (two short-sleeve and one long-sleeve) and one sweatshirt, free of charge, to all students attending our school. – Bottoms: black pants, capris, skirts, or skirts (no jeans, sweatpants, or athletic shorts and no stripes or designs allowed on pants). Bottoms can be purchased at any store. – Tops: red long-sleeve polo, short-sleeve polo, or sweatshirt, all with MAS embroidered on the shirt. 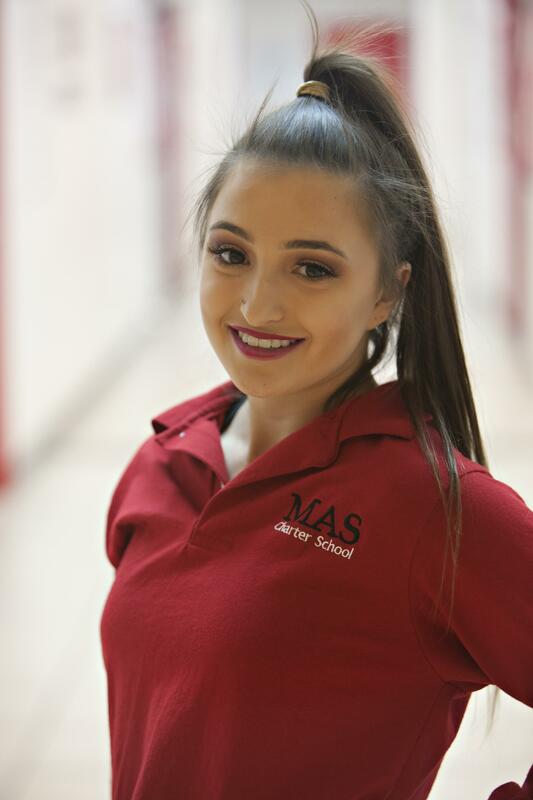 MAS provides two short-sleeve polos, one long-sleeve polo, and one sweatshirt free of charge to each student at the start of each school year. – Bottoms: black pants or shorts (no jeans, sweatpants, or athletic shorts and no stripes or designs allowed on pants). Bottoms can be purchased at any store.